Team Sports Personal Checks - The puck stops here! These checks are literally bring in the action. Share your love of the game with these fun Team Sports Personal Checks each time you open your checkbook! 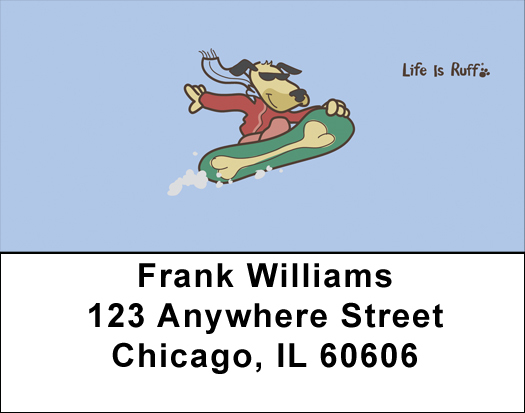 Life Is Ruff Extreme Sports Personal Checks have a cartoon dog playing sports, such as surfing and skateboarding. Matching labels are also available for these checks.